NXP Semiconductors has announced that its MIFARE products, are bringing secure, contactless ticketing to the ongoing 2018 FIFA World Cup in Russia. The NXP contactless chip solution is inside the match tickets and provides fans with fast, hassle-free and safe access to Russia’s spectacular World Cup stadiums. Additionally, the company’s NTAG NFC technology was chosen to enable all new connected experiences with the Official Match Ball, the adidas Telstar 18. As the most innovative FIFA World Cup ball to date, the NFC technology allows the ball to interact with smartphones to display specific details of each ball and provides access to challenges, which users can enter in the run-up to the FIFA World Cup. Smart stadiums across the globe are embracing NXP’s connectivity solutions and the Internet-of-Things (IoT) to bring fans captivating, personalized, and more convenient experiences. With 64 matches in total, the 2018 FIFA World Cup in Russia is one of the largest and most important sporting events in the world. More than three million spectators are expected to attend the matches, with the average attendance of games to date being 97 percent of the total capacity of the stadium. This also attracts scammers, with big live events being a major target through the high demand of tickets. In a recent announcement, FIFA has highlighted the need to fight against the secondary ticketing market to increase safety and security for fans, and providing a fair ticketing price scheme for everyone involved. 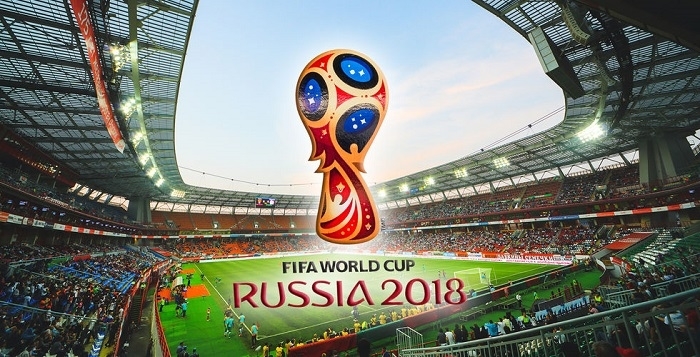 To prevent illicit trading and ticket fraud, and increase overall event security, all official 2018 FIFA World Cup Russia tickets are equipped with NXP’s MIFARE Ultralight EV1 contactless IC, a smart Radio Frequency Identification (RFID) chip featuring an authenticity check through a special originality signature. Embedded inside each ticket, the IC stores information about the admission and the ticket’s originality, thus protecting spectators from counterfeits while also providing the FIFA World Cup organizers greater visibility into these grey markets. For the first time, the official match ball of the FIFA World Cup features embedded NFC technology for exciting new interactivity. Leveraging NXP’s NTAG NFC solution, fans are able to interact with the new adidas Telstar 18 ball with a tap of their smartphone. Each ball generates a unique identifier, unlocking exclusive content and information for the consumer. The personalized and location-aware experience displays specific details of each ball and provides access to challenges which consumers can enter in the run-up to the 2018 FIFA World Cup. NXP’s leading NTAG NFC technology thus provides direct-to-consumer communication to attract, entertain and retain fans. To learn more about NXP’s MIFARE Ultralight EV1 contactless ICs in use for the 2018 FIFA World Cup Russia tickets, click here.